We all know that children have amazing imaginations, often surprising us with their ability to create and explore make-believe worlds. This isn’t just a joy to watch, it’s also a vital part of their cognitive development. Creative play, in which children use their imagination rather than prescriptive instructions, supports the development of a wide and varied set of skills, from decision making and problem solving to self-expression and socialising. There have been some fascinating research projects exploring the power of play, with psychologists analyzing how, and why, different play patterns can benefit child development. Many of these studies involve children being given either convergent stimulation or divergent stimulation during playtime, before being faced with a challenge involving problem solving. Convergent stimulation takes the form of toys or games that have a set methodology and outcome, such as a jigsaw puzzle, while divergent stimulation gives children creative free reign, for example a roleplay scenario in which they can take the lead without step by step guidance. Studies show that when presented with a challenge, children recently exposed to divergent stimulation perform better than those recently exposed to convergent stimulation. In addition, the divergent play groups show greater creativity throughout their problem solving. If you want to help your children develop key skills through divergent, creative play, but aren’t sure where to start, here are some roleplay ideas for you and your family to try. 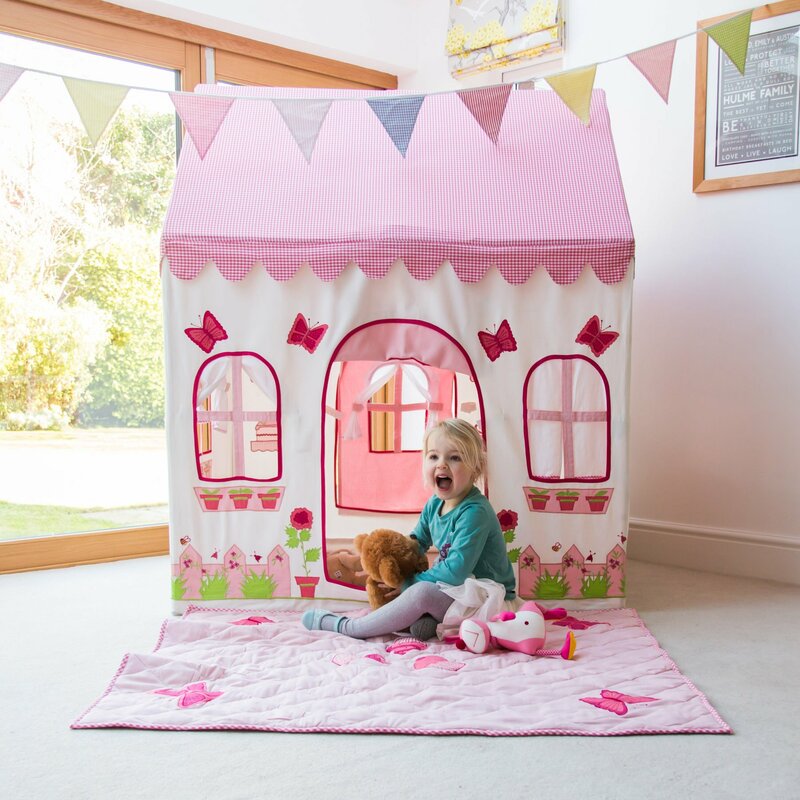 It can be tempting to rely on tried and tested toys during playtime but by integrating creative play into your family routine, your children (and you!) can have fun while they develop vital skills that will benefit them for a lifetime. Every day scenario roleplay helps children explore the world around them in a safe and controlled way, testing and learning communication and negotiation skills during playtime before they confidently use them in real life. For example, we developed a Rose Cottage and Tea Shop Playhouse to help facilitate this type of creative play, with three sides depicting a country cottage and the remaining side depicting a village tea shop to encourage roleplay that naturally includes numeracy, negotiation, and communication. With multiple roles possible, from customer to shopkeeper to waiter, this setting is a great way for children to explore social interaction too. Equally important for development is fantasy scenario roleplay, allowing children to explore ideas and concepts outside of their everyday life. This fuels their creativity and imagination, while also encouraging them to break out of their comfort zone. 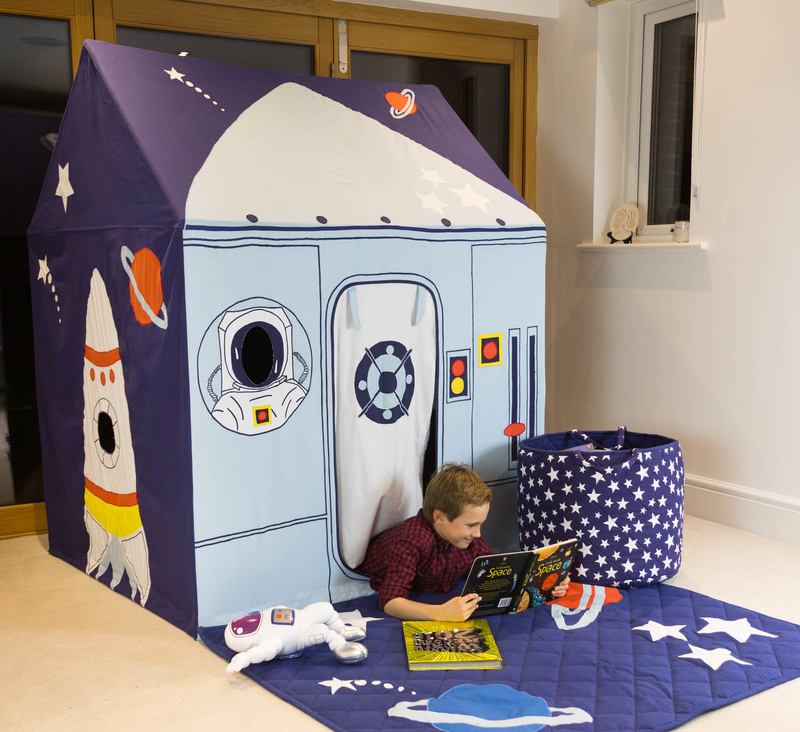 Three sides of our Outer Space and Rocket Playhouse show a space station control centre, while the remaining side features a moon landing setting. This allows children to take a real journey, from travelling to reaching their destination, in order to really get their imaginations going. 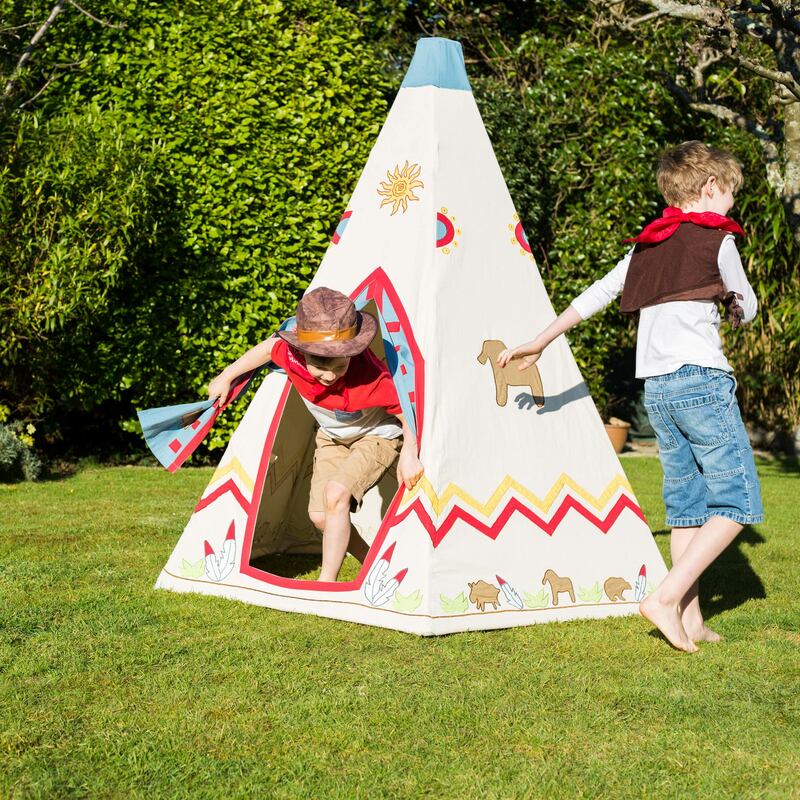 Keen to promote creative play in your household but not sure where to start? Whatever your child is passionate about, be it outer space, animals, dinosaurs or dancing, incorporating a key interest into creative play is a great place to start. Perhaps they could play zookeeper to their stuffed animals, pretend to be an intrepid archaeologist discovering dinosaurs, or act as the world’s best ballerina and teach the rest of the family how to dance.